I hope you all had a wonderful Christmas with your family and friends. My son is visiting for three weeks, so I am having a great time. That is why DishingwithDiane.com has been so quiet lately, I am enjoying every minute that my son is home. But I will be back in 2016 with more stories and more tablescapes. I just had to stop what I was doing so I could share this fantastic recipe with you. I know, more fish. You think I would be sick of fish by now right after Christmas Eve and the Feast of the Seven Fishes, but no. I could have fish every day of my life. This recipe was given to me by a dear friend and fellow blogger, Peter Battaglia. Peter has a terrific website called, A FOOD OBSESSION (see link below). You have to give it a look for yourself. Peter is a wonderful chef and not only does he share his great recipes on his blog, he also shares stories of his Italian heritage and experiences of his travels. I saw Peter’s “Shrimp and Clam Chowder” recipe and I immediately stopped in my tracks. Everything I loved all in one recipe; soup, clams and shrimps. I hit the trifecta. I looked over the recipe and both the ingredients and directions were quite simple so I decided to give it a try. I am so glad that I did, it was delicious. The chowder is smooth and velvety, not too fishy and a hint of heat – just perfect. 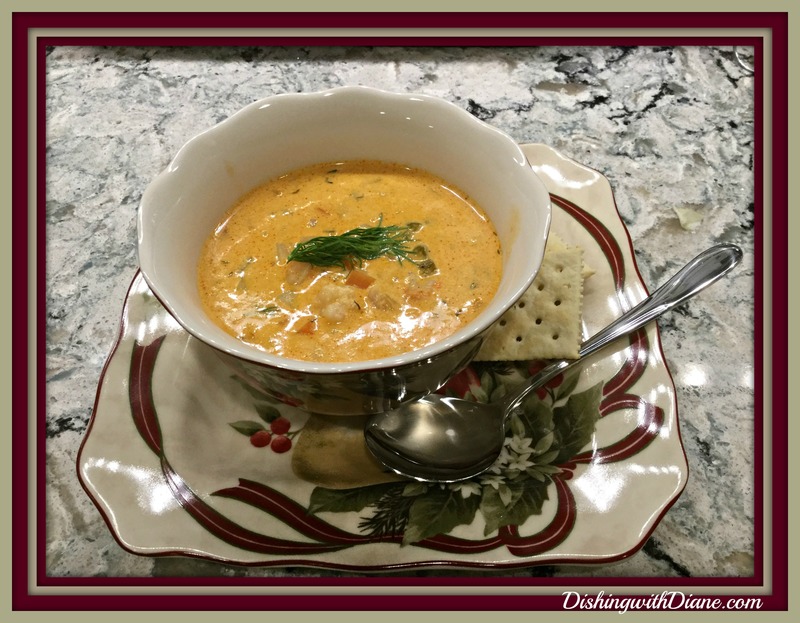 I originally planned to make the chowder as part of my Christmas Eve menu but with all the other fish dishes that evening, I decided to wait for another night. I am so glad that I waited because during the week, we had a cold rainy day that was the perfect weather for soup. I could now savor the flavor of the chowder and really enjoy it. Like I said, it was delicious. My entire family loved it and my husband said it was restaurant quality that reminded him of a soup we had at the famous Oyster Bar in NYC. So with Peter’s permission, here is the link to A FOOD OBSESSION and this wonderful recipe. You won’t be disappointed, give it a try. I hope you have a safe New Year’s Eve and 2016 brings you the best life has to offer. I wish you good health, happiness and many blessings. This entry was posted in Soup on December 31, 2015 by aries041158.